Chinese Premier Li Keqiang will address the founding conference of the AIIB council on Saturday afternoon. The series of opening activities will last till Monday. These include maiden meetings of the board of the mammoth China-led lender, a $100 billion multilateral development bank. The bank’s president will be officially appointed and the management team will be instituted during the meetings. 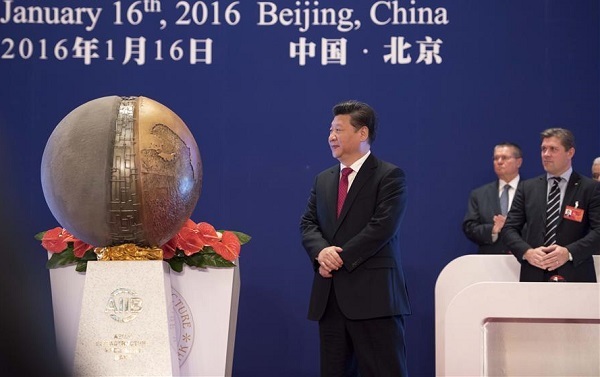 The China-led development bank was formally established in Beijing on 25 December. Chinese Finance Minister Lou Jiwei was elected as the first Chairman of the AIIB council. Jin Liqun was elected the first AIIB president. “The opening of the AIIB marked a milestone in the reform of the global economic governance system,” Lou said in a recent interview. Despite the opposition of Washington, Philippines, a major US ally in the region, has joined the new lender. The bank, headquartered in Beijing, now has 57 members, that includes Germany, France, Italy, and the UK. The new lender is expected to name its first lending projects in mid-2016. The China-backed multilateral development institution is tasked with financing infrastructure development across Asia. With an authorized capital of $100 billion, the AIIB will finance infrastructure projects like the construction of roads, railways, and airports in the Asia-Pacific Region. Lets see what unfolds, its good the Philippines has joined as i now live here and they have upcoming presidential election within a couple of months….. Welcome to the AIIB to the global financial system with best wishes to break the monopoly and provide reasonable and humane services to the finalcially weak nations of this planet. Let’s hope that this big financial compatitor will weaken the stiff and subjugating terms and conditions for borrowing imposed by the Western financial dictatorship on economies in distress. the western powers that we’re will pull out all the tricks they have up their sleeves to infiltrate, double speak, deceive and manipulate to weaken the efforts of the benefits this new system will bring to humanity. As long as China plays its cards right and other members of this transparent global venture do the same then prosperity will spread to all people fast. The western cabal has already lost power. They’re just trying right now to create all kinds of disturbances on the planet to dislodge the liberation efforts that already putting the resources for humanity in place. My gratitude for the win-win philosophy that is BRICS. The west’s hegemons will likely never be willing to choose this path of virtue that requires true maturity and its responsibilities. Perhaps BRICS must be like a parent managing the west’s spoiled rotten children…who need limitations imposed on them. Maybe only then will they find self-respect and grow up. The earth’s next generations deserve a better world. BRICS is leading the way for them. Blessings to you all at BRICS.